Oh! Red Beans and Rice will always be that dish that brings me home. That and Gumbo. Red Beans and Rice is one of those Louisiana (or southern really) comfort foods that is just so darn good. My kids always ask for seconds when I make a pot of these. I am always sure to make this in my large dutch oven so there is plenty to go around! 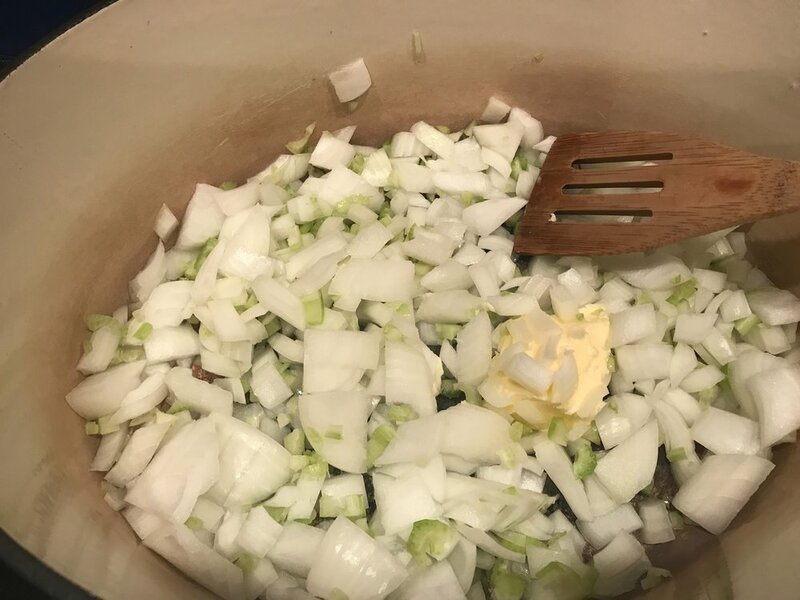 Add butter, onion, celery to the pan. Sauté it down for a few minutes then add your bell pepper. I like to add a lot of water (about 5quarts), but just fill your pot with as much as you'd like or it can hold. Beans take a long time, so let them simmer for a few hours at least. The best pot of beans will cook almost all day long! Other things to do to beans... You can add chopped up jalapeño peppers or tabasco peppers. You can add a can of chopped tomatoes. Some southerners swear by it, and some will swear at you for adding that! But you should always experiment with what you may like. Sprinkle some green onions and cayenne on top to make it jazzy. Most of the time I use Manda smoked sausage with garlic. 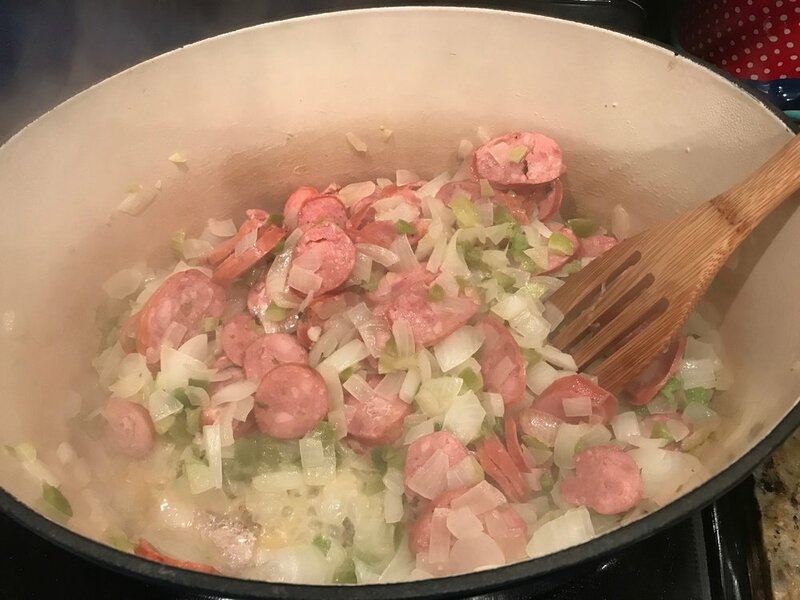 I have used smoked sausage with green onion, and andouille sausage. This is another thing that you can use your favorite kind, there really is no wrong sausage to go in there!